During my first pregnancy, I will admit, I was terrified to work out. I was so afraid of a miscarriage and many things I read said to stay clear of anything that increased body temperature and heart rate. To survive the first trimester and try to lower the risk of anything happening, I stopped working out. The fatigue I felt in the first trimester was almost unbearable. Little did I know at that time, that not only was it more than OK for me to work out while pregnant, but it would actually increase my energy, decrease my sickness and help to keep the weight off. The great news with pregnancy is that you can maintain your fitness levels— or if you have been a couch potato, it is a great time to start being active. I am currently pregnant with my second baby, and maintaining my workouts has done wonders. 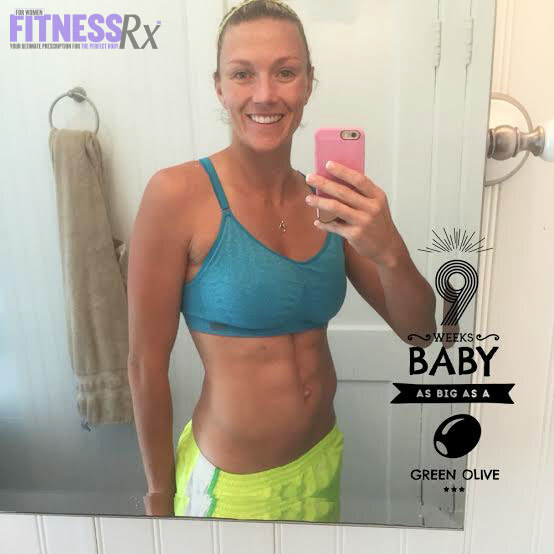 Maintaining and increasing my workouts has helped to increase my mood, boost my energy, improve my self-esteem and confidence as well as reduce many aches and pains that I was feeling before in my first pregnancy. In my first pregnancy, the exercise I did do in the second and third trimester, though limited, definitely helped to prepare my muscles and improve my endurance for labor. I was able to quickly bounce back after Brooklyn was born. The one thing I was able to help this time was diastasis recti and maintaining my core strength throughout. My doctor was thrilled that I was working out with this pregnancy and recommended at least 30 to 60 minutes of exercise daily. The ideal workout is not just cardio, but also strength-training exercises. This combination helps to preserve muscle mass, which keeps your strength and metabolic rate up throughout your pregnancy. Not only does it help to keep your heart pumping and manage weight gain, but also research has found that prenatal exercise may also lower the risk of developing gestational diabetes and preeclampsia. You will want to consult with your health care provider before starting an exercise program. If you get the go-ahead to work out, make sure to listen to your body. If you are unsure what to do, need guidance and some accountability, feel free to reach out to me for personal coaching or group programs. 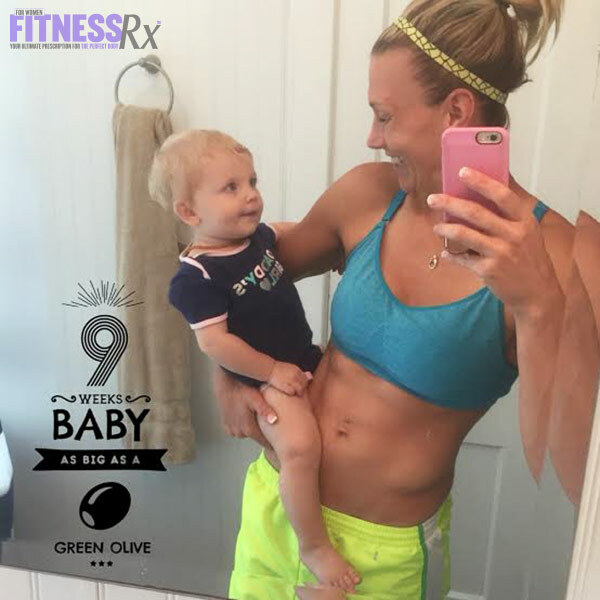 I am a prenatal and postnatal fitness specialist with a bachelor’s degree in exercise science and sports medicine, and I don’t always love getting up and working out! To be honest, I dread my 4:30 a.m. alarm; I will have a bunch of excuses running through my head as I get up. But the feeling when I am done is 100 percent worth it. I’m not telling you it is going to be easy, or that you will love it, but it will be worth it. I never leave my workout to the evenings because I know I personally will never get it done. So make sure to be honest with yourself and get it in— the earlier the better. The biggest thing I stress to moms-to-be is to commit to it and be consistent. Finding the right combination that is enjoyable and produces results is the formula that will have a mom-to-be coming back for more. The key for anyone is figuring out what you will stick with consistently. If you have tried it all and quickly grow frustrated, feel free to reach out to me to help give you some new ideas. I am all about shorter periods of exercise with greater results. It the hardest to figure out what to do in the first trimester, but it is highly beneficial to mom and baby to get moving. For a prenatal mom who has been exercising prior to pregnancy, I recommend doing three days a week of total body strength training where you keep your heart rate elevated throughout the entire workout and two days of high-intensity interval training or steady-state cardio. I always try to vary up my repetitions, sets and intensity, but a great number to start with is 12 to 15 repetitions with light to moderate weight (if you are new to this type of workout) and performing two to three sets. If you are new to working out, stick to basic exercises such as leg extensions, squats, chest presses, biceps curls, triceps pushdowns, hamstring curls, lateral raises, etc. You will want to start with light weights and perform 10 to 12 reps for one to two sets. If you are a mom who has is an advanced gym-goer and have been performing steady-state cardio for quite some time now, it may be time to change it up and try out some high-intensity interval training in which you alternate low to moderate intensity intervals with high-intensity intervals. It doesn’t always need to be on a cardio machine because it can be performed with many exercises such as burpees, squats, jumping rope etc. It is considered to be more effective in fat metabolism because you are able to increase both your aerobic and anaerobic endurance. HIIT has been show to burn adipose tissue more effectively than low-intensity exercise— up to 50 percent more efficiently. It also has been shown to speed up your metabolism, which helps you burn more calories per day. You will only want to perform HIIT when you feel rested and your legs are fresh. My HIIT training days are never the same and neither is my high-intensity intervals. I listen to my body and do the best I can. For me, it is much more enjoyable than 45-60 minutes on a cardio machine, though. I often take my little one in her stroller and will run three telephone posts and walk one for to the three miles. Depending on your fitness level, if you are new to cardio or someone who has led a relatively sedentary life, then start with steady-state cardio (SSC). You can do swimming, aerobics, dancing, running, etc., but you want to keep your heart rate elevated throughout the entire time. Moderation is key and steady-state cardio allows your body time to recover after strength-training sessions the day before. SSC doesn’t take as large of a toll on your body like HIIT does, which can help to reduce cravings and increase calorie burn without over-stressing your body. SSC is great to help keep weight gain at a minimum, increase your cardiovascular endurance and keep you coming back. If you are interested in receiving guidance, a personalized program tailored to you or individual coaching, please email me at ashkickinfitclub@gmail.com. 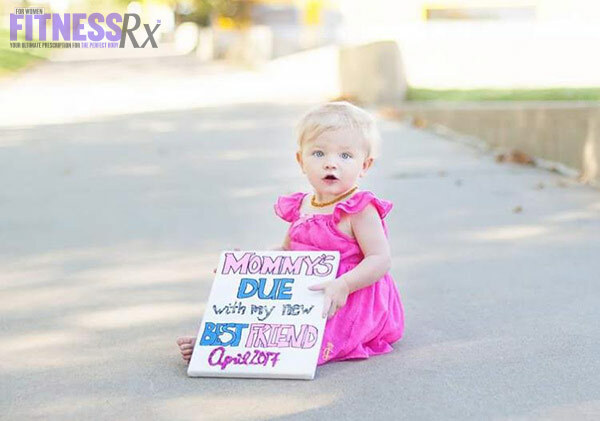 So many moms say that they show so much quicker with the second pregnancy than the first. This is primarily caused by weakened core muscles from your first pregnancy that were not properly retrained and strengthened following the birth of your first child. If you experience(d) lower back pain, diastasis recti, incontinence with sneezing or jumping jacks, lower belly bloat and have struggled to regain a flat stomach after your first pregnancy, I would highly recommend my online Fit Mom Core Program that you can start immediately. Believe me, crunches, planks and clean eating will only do so much! They do not address your transverse abdominis, which is responsible for “flattening” your stomach. I have worked with hundreds of women through my online program and results are amazing! They are able to close their diastasis recti gap, lose 1-4 inches off their midsection and fit back into their pre-pregnancy jeans. Heck, they are even able to do jumping jacks and cough without worrying! For some more information, click here for 5 Facts About Exercising While Pregnant.